Besiktas beating Antalyaspor 3-0 with goals from Cisse, Holosko and Tello. Elsewhere, Ankaraspor held Galatasaray to a 1-1 draw in the Turkish capital, Karan opening the scoring for the visitors and Mexican International player Antonio deGuajardo DeNigris equalising on the stroke of half time for leagues thsi seasons surprise team. Fenerbahce beat Ankaragucu 1-0 in Ankara, 19 Mayis Stadium on Wednesday evening. Semih Senturk’s goal was the only goal in the match. FIFA.COM: "The Black Eagles of the Bosporus"
Here is a nice article about Besiktas puplish on Fifa's web site. Besiktas, the oldest sports club in Turkey, traces its origins to the autumn of 1902, when a group of 22 young men began gathering for physical exercise on certain days of the week in the Istanbul suburb which gives the club its name. Football was not part of the equation to start with. The young men kept their bodies and souls in shape through gymnastics, wrestling and weight-lifting. In spite of a general ban on sports clubs and severe restrictions on freedom of association under Sultan Abdulhamit the Second, Besiktas Jimnastik Kulübü - Besiktas Gymnastics Club – was officially founded under a special permit just a year later. The membership roll increased dramatically and rapidly, until the club was officially re-founded on 13 January 1910 as Besiktas Osmanli Jimnastik Kulubü on the repeal of the laws prohibiting clubs. A few months later, football clubs Validecesme and Basiret merged with Besiktas, making football the most important discipline at the club in just a few short weeks. A curiosity dating from the early years is that Besiktas, as the only sports club in the country at the time, occasionally played as the Turkish national team, and are thus the only club to incorporate the national flag on their emblem. In the 1940s, Besiktas dominated the Turkish footballing scene. After back-to-back domestic league triumphs at the beginning of the decade, the club went into the 1940-41 campaign with a largely new and young team. The brilliantly skilled men in black and white were to become legends that year, after a series of breathtaking displays which also earned them their nickname, the Black Eagles. The term first came into use on 19 January 1941, as the men from Istanbul took on Suleymaniye and ran up a crushing 6-0 victory. Midway through the second half, a fisherman by the name of Mehmet Galin struck up a previously unheard chant, which – so the legend goes – was rapidly taken up by the entire stadium. "Come on Black Eagles, attack Black Eagles!" was the cry from thousands of throats, and Besiktas had the nickname that persists to this day. The period from 1957 to 1986 brought seven title triumphs, but that was merely the prelude to the 1990s, the truly golden age in Besiktas’ history. Under English coach Gordon Milne, the oldest club in Turkey recorded a title hat-trick from 1990 to 1992. Milne’s team featured an attacking trio of Metin Tekin, Ali Gultiken and Feyyaz Ucar, still considered by fans as the best forward line ever to represent the club. The 1991-2 campaign brought not only the title but also a record, as Besiktas became the only club to win the Turkish championship without losing a match. Other records include a 10-0 victory over Adana Demirspor in 1989-90, the biggest margin of victory in Turkish league history, a run of 48 consecutive league matches without defeat, and a 13-game winning streak in the 1959-60 season. The same campaign brought a record total of 29 league wins. Compared to the glories of the past, Besiktas’ recent record in the Turkish championship has been patchy. Their twelfth and most recent Super Lig title came in 2003. This was followed by domestic knockout cup success in 2006 and 2007, but the championship trophy proved elusive. However, the current team under new coach Mustafa Denizli is undefeated so far this term and tops the Turkish standings eight games into the campaign. Besiktas’ home ground is the BJK Inonu stadium, located in the suburb of Besiktas and boasting a panoramic view over the Bosporus. The Black Eagles moved into their newly-constructed home in 1947, when the stadium was named after the second president of the Republic of Turkey, Ismet Inonu. The most recent renovation took place four years ago, with the removal of the running track and lowering of the pitch. The only stadium in the world offering a view of two continents (Europe and Asia) currently boasts a capacity of 32,086. TURKISH TURKCELL SUPER LEAGUE WEEK 8,RESULTS AND STANDINGS! THE MISTAKES BY REFEREES, WILL BE THE TALK OF THE TOWN ON THE TV AND RADIO SHOW THIS WEEK ,IN MY OPINION. THEY ARE ONLY 2 POINTS BEHIND GALATASARAY AND 6 POINTS BEHIND THE LEAGUE LEADER.. MOST MEMORABLE MOMENT OF THE WEEK FOR ME WAS, ON SATURDAY DURING THE FENERBAHCE SIVASPOR MATCH DEIVID'D COMEBACK FROM INJURIES AND SCORING HIS FIRST GOAL..
Besiktas might be the only undefeated team team in the Turkish Super league, but, They just can't beat Sivasspor in Istanbul. BESIKTAS passed up the chance to go four points clear at the Turkcell Super League summit on Friday night but have extended their advantage to two points following a 1-1 home draw against Sivasspor. Mehmet Yildiz opened the scoring for the visitors in the fourth minute, but Matias Delgado restored parity for the leaders just nine minutes later and that is how it remained. League leaders Besiktaş will be hosting 5th placed Sivasspor who has 14 points at İstanbul İnönü Stadium. Besiktas has 17 points going in to this match. Besiktas has changed their coach during the national matches break. Manager Ertugrul Saglam is replaced by experienced coach Mustafa Denizli. Mustafa Denizli has declared that the team will play in a more offensive fashion and their aim will be scoring more than they concede. In his first match as Besiktas coach. Sivasspor is also a very powerful team. They have started this season with a very nice form and proved that their success in the last season has nothing to do with luck. Especially their offensive line is great with the presence of powerhouse striker Mehmet Yildiz and pacey Israeli Pini Balili. Sivasspor has beaten Ankaragucu 3-0 at their last match. Sivasspor will be playing without their first choice goalkeeper Petkovic. The replacement Akin is also a good keeper but the atmosphere at İstanbul may be too much for him. Besiktas will also be missing Gökhan Zan, Batuhan Karadeniz, Aydın Karabulut and Seric. GALATASARAY MAKES A GOOD START IN UEFA CUP GROUP MATCHES! Galatasaray's Harry Kewell (C) celebrates his goal against Olympiacos Piraeus with team mates Arda Turan (L) and Emre Asik (R) during their UEFA Cup soccer match at the Ali Sami Yen Stadium in Istanbul, October 23, 2008. Galatasaray got their UEFA Cup group stage campaign off to a winning start with a narrow 1-0 victory over Olympiacos in a closely-contested clash in Istanbul. Harry Kewell's glancing header was enough to give Michael Skibbe's Turkish champions all three points against Ernesto Valverde's Greek title-holders at a packed Ali Sami Yen Stadium. Both teams went into the Group B fixture desperate to make amends for recent European disappointment - having lost in the Champions League qualifiers - and it was the hosts who took the early initiative, pressing and probing with former Leeds man Kewell prominent. The first clear chance of the game came after 20 minutes when Arda Turan headed wide from Lincoln's left-wing corner. Then, two minutes later Kewell dragged a snapshot wide when well placed inside the penalty area. The Turks continued to press and Sabri Sarioglu tested Nikopolidis with a powerful long-range drive which the visiting keeper parried for a corner. The deadlock was then broken from the resulting corner in the 26th minute and Kewell was the man on target, evading his marker Didier Domi at the near post before glancing a downward header past Nikopolidis from another Lincoln corner. Despite the occasional rampaging run from Vasilis Torosidis down the right, Olympiacos struggled to gain meaningful possession and Diogo looked an isolated figure with little service coming from Argentinian duo Luciano Galletti and Fernando Belluschi. Galletti had a decent opportunity to get his team back into the game on the stroke of half-time but he fired his free-kick into the wall. The hosts continued to threaten the Olympiacos goal in the second half, with Anastasios Pantos clearing off the line from Baros before Lincoln blasted the rebound over the crossbar from close range. Lincoln should have added to the scoreline but was thwarted by Nikopolidis and then the crossbar. Olympiacos substitute Darko Kovacevic had a golden chance to equalise for the Greeks but he headed Fernando Belluschi's free-kick inches wide. It was then Diogo's turn to miss as the Brazilian headed agonisingly wide from a Torosidis long ball as Galatasaray held to to claim the win. Fatih Terim has signed a two-year extension to his contract as Turkey coach. The deal had been agreed with former Turkish Football Federation (TFF) president Hasan Doğan on 2 July, but Dogan's untimely death three days later delayed its signing. Turkey enjoyed a surprise run to the semi-finals of EURO 2008 and are undefeated after four matches in qualifying for the 2010 FIFA World Cup, though they trail Spain by four points in Group 5. "The Turkish national team has big aspirations to reach the finals of the 2010 FIFA World Cup and EURO 2012," TFF president Mahmut Ozgener said. "We think our coach Fatih Terim is the right person to help us reach those targets." Ozgener also praised the efforts of Terim. "Thanks to their brilliant displays, courage and determination, Turkey were one of the most discussed teams of the tournament," he said. Terim began his second spell in charge of Turkey in 2005 having also led his country from 1993 to 1996.. The 55-year-old, who took Galatasaray to victory in the UEFA Cup in 2000 and has also coached ACF Fiorentina and AC Milan, has said he regards the post as a "national calling". Galatasaray are set face Greece's Olympiakos in their first game in UEFA Cup group stage campaign to start on Thursday. The game will kick off at 9:15 p.m. local time(2:15 ET). Spanish Eduardo Iturralde Gonzalez, Juan Carlos Yuste Jimenez and Jon Nunez Fernandez will referee the match. Portugal's Benfica, Germany's Hertha Berlin and Ukraine's Metalist Kharkiv are Galatasaray's other rivals in Group B.
UEFA Cup group stage will end on December 18th. Three teams from each group will advance to the knockout stages. Dear Turkish Football(soccer) blog readers you could watch Fenerbahce v Arsenal match live on the internet free if you internet provider offers the ESPN360.COM . Fenerbahce coming off confidence-boosting weekend win ahead of Tuesday's Champions League match in Istanbul. Fenerbahce made a poor start to the season, losing four of its first seven games under new manager Luis Aragones, who led Spain to the European Championship title in June. But the club beat Kocaelispor 3-2 on Saturday with an injury-time goal from Semih Senturk, to relieve some of the pressure on Aragones. "Of course, I am not pleased with the game we played in the first half," Aragones said. "I think the atmosphere at the Champions League will be different." Fenerbahce defender Roberto Carlos vowed that the team could turn things around in the Champions League. "We've beaten Chelsea at home (last season). The atmosphere in Kadikoy is always different," the former Brazil defender was quoted as saying by newspaper Hurriyet on Monday. "This time, we will make it up to the fans that we have upset." Fenerbahce could be without injured midfielder Gokhan Gonul, but the club is also upbeat after its first away win in the Turkish Turkcell Super league this season on Saturday. On the other hand, Arsenal,have defensive worries ahead of their Champions League Group G tie against Fenerbahce in Istanbul on Tuesday. Centre-back Kolo Toure has been ruled out after twisting shoulder ligaments in Saturday's 3-1 victory over Everton. Captain William Gallas (hamstring) and Bacary Sagna (knee) are carrying injuries sustained on international duty last week and are also unavailable after missing the match against the Toffees. However, midfielder Samir Nasir has shaken off a knock picked up against the Merseysiders and Nicklas Bendtner (ankle) and Johan Djourou (head) both return after being absent at the weekend. GALATASARAY KNOCKS OUT THE LEAGUE LEADER! well, Today in Istanbul ,Trabzonspor not only lost the match, they lost the first place to Besiktas after Besiktas won in Ankara. Arda, Servet and Lincoln scored for Galatasaray. And against last place team Kocaelispor!.. Elsewhere, on Saturday,Istanbull B.B. beat Antalyaspor at home with the score of 2-1 and Hacettepe won against Denizlispor at home against Denizlispor with only one goal. Turkey's Turkcell super league will take a start on Saturday. After 10 days away from Turkcell Super league action, league will resume with four matches on Saturday. "The match of the week" will be played on Saturday in Istanbul..
League Leader Trabzonspor, will play against Galatasaray team. Second place team Bursaspor, could be on top of the league, at the end of the week 7, in my opinion, if Galatasaray defeats undefeated Trabzonspor in Istanbul. Bursaspor will play at home on Saturday against newcomer Eskisehirspor. There will be four groups and team will earn $ 100.000 for a win and $50.000 for a draw. 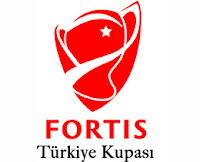 The Fortis Cup matches will star at Oct.29th,2008 . GROUP A : BEŞİKTAŞ, TRABZONSPOR, GAZİANTEPSPOR, ANTALYASPOR, GAZİANTEP B.ŞEHİR BLD. Turkey moved in to second place in World Cup Qualifying Group Five despite failing to find a way past Estonia on Wednesday. The Turkish National Team had to settle for a one rather than three-point lead over third-placed Belgium after the hosts picked up their first point of the campaign. And with two games with Euro 2008 winners Spain still to come, the Turks could live to rue their failure to pick up maximum points against one of the weakest teams in the group. Turkey have stuttered since their surprise run to the European Championship semi-finals, needing to come from behind to beat Bosnia-Herzegovina and draw with Belgium in their last two qualifiers. And they again failed to hit top form in Tallinn as they failed to break down a defence which had conceded 13 goals in their opening three group games. Substitute Yusuf Simsek, who was introduced just after the hour mark, wasted Fatih Terim's side's best chance when he fired over when unmarked inside the area. Dmitri Kruglov came closest for Estonia with an angled shot from the edge of the area which flew just wide of the post, but neither side could make the breakthrough. Estonia: Londak, Kruglov, Piiroja, Barengrub, Sisov, Klavan,Vassiljev, Vunk (Puri 80), Dmitrijev,Voskoboinikov (Zeniov 63), Oper. Subs Not Used: Kotenko, Lindpere, Rahn, Kink, Saag. Turkey: Demirel, Cetin, Sarioglu, Balta, Kas,Sahin (Erdinc 33), Akman (Simsek 62), Turan, Aurelio,Kazim-Richards (Boral 75), Altintop. Subs Not Used: Kulbilge, Birinci, Balci, Yildiz. Turkish National soccer Team will take on Estonia in an away World Cup qualifier in Tallinn on Wednesday. While, Group 5, leader Spain and will be against Belgium. Turkey will take on Estonia in an away World Cup qualifier in Tallinn on Wednesday. The game will kick off at 21:30 (Turkish local time)(14:30 ET) and will take place at Tallinn's A. Le Cop Stadium. Poland's Robert Malek will be the referee of the game. Turkey's TRT-1 would broadcast the game live. Rene Vandereycken's charges have enjoyed an excellent start to their campaign, collecting seven points from three outings, including a potentially priceless 1-1 draw in Turkey. Now 30 years of age, Wesley Sonck looks to be enjoying something of a second youth, and fired his 22nd goal in 45 appearances against Armenia at the weekend. That said, Belgium are above all a solid unit composed of tireless workers, such as Ajax's defensive midfielder Jan Vertonghen. Their next test could hardly be stiffer, though, as it brings them up against a team still riding the wave of euphoria inspired by their European title this summer. Spain have won all three of their qualifiers, scoring eight times without conceding, making them formidable opponents for anyone. Turkey will be away against bottom-placed Estonia hopeful of making up the two points they lost at home against Belgium, with the two group leaders coming face to face in Brussels. Group 5, Leader Spain has 9 points while Belgium and Turkey has 7 points , Bosnia who has three points will be home against pointless Armania. The battle for second place in this group still of for grabs between Belgium ,Turkey and Bosnia. According to Sky news from England, Fatih Terim wants Germany U21 star Mesut Ozil to change his international allegiance. Mesut has until his 21st birthday in October to decide whether he wants to commit his international future to his grandparents' country. "Mesut has asked us for some time to think," Terim told Bild. "We are hoping to get his decision soon." Mesut Ozil does not want to comment on the situation, but his agent Reza Fazeli confirmed that an approach had been made. "Fatih Terim asked me about him, but Mesut has to concentrate on other important games for the time being," he said. EUROPE'S COMEBACK KINGS, TURKS DOES IT AGAIN!.. Turkey head coach Fatih Terim gestures to his player Arda Turan during their World Cup 2010 qualifying soccer match with Bosnia Herzegovina at Inonu Stadium in Istanbul, October 11, 2008. EUROPE'S "COMEBACK KINGS" DOES IT AGAIN!.. Turkish National Team recovered from a goal down to beat Bosnia 2-1 with two second half headers in their World Cup Group Five qualifying game on Saturday. New kid on the block,Mevlut Erdinc grabbed the winner in the 66th minute helped by some shoddy defending after Sabri Sarioglu equalised in the 51st following a scramble in front of goal after a free kick. Bosnia's Edin Dzeko had opened the scoring with a header in the 27th as the Balkan team suddenly got into their stride, although a frustrated Turkey had more first-half chances. "It was unpleasant to concede a goal but we didn't give up and after it we fought like lions," said Turkey coach Fatih Terim whose team stepped up the pace in the second half. Turkey, semi-finalists at Euro 2008 and the 2002 World Cup, now have seven points from three matches before visiting Estonia in their next qualifier on Wednesday. The Turkish national soccer team will play against Bosnia-Herzegovina in the World Cup qualifier. The game in Group 5 will take place at the BJK Inonu Stadium in Istanbul and kick off at 9:00 p.m. local time(14:00 ET). Viktor Kassai of Hungary will be the referee of the game. Earlier, Turkey beat Armenia 2-0 in an away match and drew with Belgium 1-1 in a home match. On October 15, Turkey will play against Estonia in an away game. The game in the city of Tallinn will kick off at 9:30 p.m. Turkish local time. Poland's Robert Malek will be the referee. The World Cup finals will be hosted by South Africa in 2010. A VERY IMPORTANT MATCH FOR TURKEY AND TERIM! The Saturday's match against Bosnia-Herzegovina in Istanbul will be very important for Terim's Turkish National Team. Any results other than win, will cost Turkey and Terim's boys!.. Injury full Turkish National team will have tough time against Young Bosnia-Herzegovina team. In the Group 5, Groups first place team Spain will play against pointless Estonia . The next three teams Turkey,Belgium and Bosnia-Herzegovina in the group will fight for the second place in the Group. While Turkey and Belgium each have 4 points , Bosnia-Herzegovina is on the neck of both teams with 3 points. That is why this match is very important for Turkey!.. On the other hand Belgium, will play another pointless team Armenia. Fatih Terim's Boys has to have flawless match against Bosnia-Herzegovina , if they want to stay on this race. Saturday in Istanbul, Fatih Terim has to be cool calm from side line, because, Fifa will be watching him very closely after that incident against Belgium coach. The problem with Besiktas is The current president of the team and his cronies!.. Mustaf Denizli will not save Yildirim Demiroren as a President of Besiktas. A two days go, after Ertugrul Saglam resigned, Sinan Engin also resigned too..
Yildirim Demiroren, said "coaches like Samet Aybaba and Mustafa Denizli will not coach and walk front of the Besiktas Club as long as I am president of this club"
After Lucescu's rejection coaching Besiktas, Demiroren was cornered once again!.. He told Turkish media earlier in the season, that, "I will not take a team, in the middle of the season in the Turkcell Super League"
He will be the first Turkish coach to coach the "Big Three" clubs in Turkey. SERGEN YALCIN WILL BE HIS ASSISTANT IN BESIKTAS!. Mustafa Denizli and Besiktas will make it official at 17:00 Turkey local time(10:00 ET), on Thursday. Matches begin on 23 October and continue on 6 and 27 November, then 3/4 and 17/18 December with each club in action on four of those match days and fixtures to be confirmed shortly. In the Round of 32 draw on 19 December, the teams finish first and third will be paired, with the runners-up meeting the sides currently competing in the UEFA Champions League. This is the last year that the tournament will be in its current format before being relaunched as the UEFA Europa League. BESIKTAS COACH ERTUGRUL SAGLAM RESIGNED! "Life goes on" these words said by Ertugrul Saglam, after the another disaster defeat in the European competition against Ukrainian team Metalist Kharkiv. On Tuesday, He resigned from the post after winning the League match against Hacettepespor. Two unsuccessful season in the European competition under Saglam's belt, cost him the job. In The Press conference Ertugrul saglam said , "The 4-1 loss to Metalist in the UEFA Cup deeply saddened us. I apologize for this to all Besiktas fans and the Turkish nation. I believe I represented Beşiktaş in the best possible way and I could have resigned earlier, but the game against Hacettepe was important. I wanted to say farewell with a win." Also, General Manager of the Besiktas team, Sinan Engin, resigned too. Fatih Terim will be without several of his first-choice team after he named his 24-man squad ahead of their two World Cup qualifiers. Gokhan Zan, Mehmet Topal, Gokdeniz Karadeniz and Emre Belozoglu were excused from the squad along with Gokhan Gonul and Gokhan Unal. Injuries have restricted his attacking options with Nihat Kahveci, Tuncay Sanli, Semih Senturk and Hamit Altintop all unavailable for selection. That has forced Terim to look elsewhere with Turgay Bahadir(Kayserispor) and Yusuf Simsek(Bursaspor) earning call ups. Turkish National Team resume their World Cup qualification campaign against Bosnia-Herzegovina in Istanbul on Sunday before travelling to Tallinn to play Estonia four days later on wendsday. Squad: Volkan Demirel (Fenerbahce), Serdar Kulbilge (Kocaelispor), Tolga Zengin (Trabzonspor); Serdar Kurtulus (Besiktas), Sabri Sarioglu (Galatasaray), Servet Cetin (Galatasaray), Ceyhun Gulselam (Trabzonspor), Ibrahim Kas (Getafe), Hakan Kadir Balta (Galatasaray), Caglar Birinci (Denizlispor), Ugur Boral (Fenerbahce); Colin Kazim-Richards (Fenerbahce), Aydin Yilmaz (Galatasaray), Ayhan Akman (Galatasaray), Mehmet Aurelio (Real Betis), Nuri Sahin (Borussia Dortmund), Caner Erkin (CSKA Moscow), Arda Turan (Galatasaray), Turgay Bahadir (Kayserispor), Yusuf Simsek (Bursaspor); Halil Altintop (Schalke), Mevlut Erdinc (Sochaux), Batuhan Karadeniz (Besiktas), Mehmet Yildiz (Sivasspor). Mert Nobre scored Besiktas' winner goal in a 2-1 win over Hacettepe that moves them two points off the lead in the Turkish Turkcell Super League. Besiktas young striker Batuhan Karadeniz celebrated being called up to the Turkey squad for two World Cup qualifiers this month with a goal after seven minutes. Kadir Bekmezci scored in the 20th minute to level the scores, but Nobre proved the match-winner with his goal after 64 minutes. Unbeaten Trabzonspor lead the table in the Turkcell Super League after six games. Besiktas the other only team in the league yet to taste defeat. If you read,listen or watch the Turkish media , you probably did not hear this news!.. According to Triballfootball.com web site, scouts from Man U , were in Bursa , this past Sunday . They attended the match between Bursaspor v Galatasaray and scout the young Bursaspor player Sercan Yildirim. Sercan Yildirim has already revealed contact with United officials and his effort in the victory over Galatasaray was the Yildrim's fifth goal in six games. He is the Top scorer in the Turkey's Turkcell Super League with five goals,so far. Tukey's Turkcell Super League's sixth week last match will be played on Monday night in Turkey. This is the second Monday Night match since the season started. The team with a lot of chaos, and rumors will face Hacettepe in their own turf. After getting demolish in the UEFA CUP, Besiktas fans are furies about the results. There is definitely problem between players and Coach Ertugrul Saglam. Coming back to Monday Night match, If Besiktas wins the match against Hacettepe, we could see Besiktas,in the second place with 14 points. Two points behind Leader Trabzonspor and one points behind second place team Bursaspor. WORST START FOR FENERBAHCE UNDER ARAGONES! Luis Aragones insists he has no intention of stepping down as Fenerbahce coach in the wake of Sunday's 4-1 home drubbing to Kayserispor. Aragones, who took over Fenerbahce this summer after leading Spain to the Euro 2008 title, has suffered a hugely disappointing start to his reign and this latest loss has further increased the pressure on the 70-year-old Spaniard. However, Aragones is adamant he is not going to fall on his sword, saying in comments reported by Marca: "To lose 4-1 is a bad result, but I have not come here to resign now. I'm here to do what I do best. Of course I'm not thinking about resigning." The Kayserispor defeat leaves Fenerbahce 12th in the Turkcell Super League having lost four of their opening six games, winning the other two. Fenerbahce have also picked up just one point from their opening two Champions League Group G matches, with last month's draw with Dynamo Kiev ending a run of eight successive home victories in Europe. Last season, under the guidance of former coach Zico, Fenerbahce reached the quarter-finals of the Champions League and finished as runners-up in the Turkcell Super League. BURSASPOR moved into second spot in the Turkcell Super League table with a 2-1 win over Harry Kewell's Galatasaray. Mustafa Sarp opened the scoring in the 38th minute and Sercan Yildirim doubled the hosts' lead three minutes into the second half. Arda Turan pulled one back for Galatasaray eight minutes later but they could not find the equaliser. Bursaspor are a point behind league leader Trabzonspor. Kayserispor are four points behind Bursaspor in fourth place after they triumphed 4-1 at Fenerbahce thanks to Julius Aghahowa's hat-trick. Aghahowa grabbed his first in the 21st minute and doubled his and his side's tally four minutes from half-time. Roberto Carlos grabbed one back for the hosts just before the hour mark, but Turgay Bahadir restored Kayserispor's two-goal advantage in the 63rd minute before Aghahowa completed his hat-trick 11 minutes later. Kocaelispor remain bottom of the table after a last-gasp goal condemned them to a 2-1 defeat at Eskisehirspor. Souleymane Youla opened the scoring in the 13th minute but Volkan Bekiroglu equalised for the visitors 10 minutes from half-time. Kocaelispor thought they were going to pick up only their second point of the season until Youla pounced again in the dying seconds. Istanbul Buyuksehir BSK are only two points above Kocaelispor after they lost 2-1 at Denizlispor. Yusuf Kurtulus put the hosts into the lead in the 15th minute before Roman Kratochvil doubled their advantage from the spot 11 minutes from half-time. Marcos Marquinhos grabbed one back two minutes after the interval but the visitors could not find the equalizer. Ankaragucu have only a point more and are still winless at home following their 2-0 loss to Genclerbirligi. Carlos Kahe broke the deadlock in the 63rd minutes and Engin Baytar grabbed the other 12 minutes later. Turkish coach Fatih Terim on Saturday unveiled a 28-man pre-squad for Group 5 World Cup qualifiers against Bosnia-Herzegovina and Estonia. The Euro-2008 semifinalists will be missing midfielders Hamit Altintop of Bayern Munich and Tuncay Sanli of Middlesborough as well as Villarreal striker Nihat Kahveci and Fenerbahce forward Semih Senturk as they are all injured. The Turkish National Team will host Bosnia-Herzegovina in Istanbul on October 11 before meeting Estonia in Tallinn on October 15. Strikers: Batuhan Karadeniz (Besiktas), Gokhan Unal (Trabzonspor), Mehmet Yildiz (Sivasspor), Halil Altintop (Schalke 04/GER), Mevlut Erdinc (Sochaux/FRA). WE know one thing in the Turkcell Super League , Trabzonspor will close the sixth round on top of the League, despite the matches will take place on Sunday. Because, Burasspor will face Galatasaray, the team who has reserved, a place, in the UEFA CUP, earlier in the week. Who ever gets the three points, from this match, will take the second place spot, from Gaziantepspor. Also on Sunday, Fenerbahce, the team who has six points, in five weeks, after disappointing match in the Champions League, will face, another team ,that just got routed out of the European Cup competition Kayserispor, who has 8 points. This is a must win match for Fenerbahce, if they want to be the Leagues top team at the end of the season!.. A draw and a loss, will put Fenerbahce way behind the top spot race in the Turkcell Super League ,in my opinion. That is what happened to Konyaspor, on Saturday against League leader Trabzonspor. After going up 2-1 ahead , Konyaspor still played offensive an that cost the match for Giray Bulak and Konyaspor!... They loss the match 3-2!. That's is why, Trabzonspor was lucky to maintain the Turkcell Super Leagues top spot this weekened at the week 6. Also, on Saturday, Sivaspor lost in way match against Ankaraspor 2-1 and disipointed their fans. The other team who is is following the top spot closely Gazinatepspor won in away match in Antalya.4-1. COULD GIRAY BULAK'S KONYASPOR TOPPLE TSL LEADER TRABZONSPOR? Turkcell Super League's sixth week takes off on Saturday with three important matches. Turkcell Super League Leader Trabzonspor will face their former coach Giray Bulak's Konyaspor in Konya on Saturday. After getting demolish by Galatasaray on Sunday in Istanbul , Konyaspor could surprise Trabzonspor at front of their home fans. On the other hand, Trabzonspor coach Ersun Yanal, was decorated with brand new 24 players in the off season!. Konyaspor has seven points and they are on 9th place while Trabzonspor sits on top of the League's top spot with 13 points. But, there is a big pressure from other teams. A loss of points in Konya , could cost the top spot for Trabzonspor this week. The other team, last years Cinderella team Sivasspor(11 points), also will play on Saturday. They will Travel to Ankara to play Ankaraspor. This match will be exciting too. Also, Another team that is keeping the pressure, Gaziantepspor(10 points) , will be in Antalya. Antayaspor has only one point in five matches. Beşiktaş arrived back in Istanbul on Friday amid increasing pressure on coach Ertuğrul Sağlam to resign. A group of protestors met the team at Atatürk Airport, calling for the resignation of Sağlam and the Beşiktaş board. The Istanbul team's 4-1 lost at Metalist Kharkiv of Ukraine on Thursday night sparked a heated debate over whether Sağlam should keep his post. Some board members have even publicly declared the former Beşiktaş player should leave. It is devastating to be ousted from the UEFA Cup at a time the board and fans dreamt of playing in the final, the club's vice-chairman, Levent Erdoğan, told the Anatolia news agency. He also criticized Sağlam's post game comments. Sağlam said after the game the team would forget about the loss and focus on the upcoming matches. It is unacceptable to say this game is over, we should move on.' Of course we will move on, but we will keep making mistakes if we brush aside past failures, Erdoğan said. Erdoğan added that those who have failed to fulfill supporters' expectations should take the blame and do the righteous thing to do, signaling Sağlam may be leaving soon. Another board member, Şeref Yalçın, shot a straight bullet at the coach. The technical staff are the only ones to blame in this humiliating loss, he told reporters. Sağlam has problems in coaching the team, or he is having trouble coping with Beşiktaş. We got the players he wanted, we have been supporting him, but we are far from the place we should be at. Yalçın said they will want a comprehensive report from the coach and decide on his future soon. Out of the three Turkish Teams that playing in the UEFA CUP, Galatasaray is the only team will advance to next round. What is so strange, Besiktas wins at home in the first match, than, gets killed by Metalist Kharkhiv at the second match with the score of 4-1. The coach of Besiktas team Ertugrul Saglam, before the match, in interview with one of the Turkish Newspaper , said, he wants to be Alex Ferguson of Turkey. Ertugrul Saglam, does not deserve to be coach of Besiktas, anymore , in my opinion! This was another disaster after last years disaster in England. Two first-half goals helped the Ukrainian team register a famous win. Brazilian Jajá stuck gold when his 40-metre effort went in off the bar on 16 minutes and he then beat defender Tomáš Zápotočný to set up Marko Dević for his side's second ten minutes later. Valentyn Sliusar subsequently hit the post for Metalist, but later supplied Jajá for the third goal on 74 minutes. Seweryn Gancarczyk made it 4-0 from a 79th-minute free-kick with substitute Márcio Nobre's late effort representing scant consolation for Besiktas. Yaser Yıldız earned Galatasaray a 2-1 win in Istanbul, heading home Lincoln's 86th-minute free-kick to put the tie well beyond Swiss debutants Bellinzona. Already 4-3 up, the Galatasaray deservedly took a first-half lead through Milan Baroš's penalty. Gurkan Sermeter converted a spot-kick at the other end on 52 minutes to give his team a fighting chance, before Yaser finally settled matters. Paris St Germain lead the French challenge with a 0-0 draw against Kayserispor to add to their 2-1 first-leg advantage. According to rumors from British media, Manchester United are tracking relatively unknown (until now) Bursaspor striker Sercan Yildirim. The 18-year-old is well thought of in his team Bursaspor, however, and is unlikely to be sold for any less than £5 million - with United facing competition from a number of other Premier League and Serie A clubs for his signature. Besiktas and Galatasaray look to build over their wins, while Kayserispor chases a dream in Paris. Besiktas visits Metalist Kharkiv for the UEFA Cup first round game Thursday. After beating Metalist 1-0 in Istanbul two weeks ago, Besiktas holds an apparent advantage before the second leg game, and even a draw will be enough for it to advance to the competition's group stages for a record fourth time. So, another game to Besiktas' eight-game unbeaten streak and the Black Eagles will fly off to the next round. However, playing at Metalist may be tricky. Besides the not-so-welcomingly cold climate, Metalist is a strong and physical team that does not allow many chances to its opposition. Besiktas has seen enough of that, as the first leg game could have gone either way, if the only goal of the game was canceled for offside. Besiktas was not playing its best in that game, but the Ukrainians were not very experienced at that stage and Ertugrul Saglam's side exploited that very well. It needs to do more of the same to advance to the next round. The game at Metalist Stadium starts 8:00 p.m.
Galatasaray's job at the UEFA Cup may be easier, though, as it plays lowly Swiss side Bellinzona in Istanbul, also Thursday. In an illogically open game, Galatasaray was victor 4-3 in Switzerland, leaving little work to do at the Ali Sami Yen Stadium. Now even a loss like 1-0 will see Galatasaray through to the next round, and it seems that Galatasaray will not lose much sweat over beating Bellinzona again. The Swiss side is struggling in its league currently, and has only one win in nine games, while Galatasaray is on an astounding goal spree with 12 goals in three games. Its foreign players are the major reason for that attacking football shining, as Milan Baros took the lead with six goals. The Czech player is successfully rehabilitating his career, especially remembering that he had nine goals in his 56 games in the last two years. Thursday night he will try to add to his goal tally against a side that is not successful at defending. The game starts at 8:00 p.m.
Of all the four Turkish teams vying for further rounds on the European stage, Kayserispor probably has the most difficult task to do. Losing the first leg game 2-1 to Paris St. Germain at its own ground, the Turkish Cup holder's chase for the next round is likely to be a chase for the rainbows. Kayseri is known for its solid defensive play and may finish the game in France with a clean sheet, but this time conceding no goals will not be enough, it needs to score as well. Tolunay Kafkas' side is a terrible attacking team and is yet to score two goals in a match this season. In fact, Kayserispor has two goals in five league games, and if it wants to stay a part of the European competition, it needs at least two on Thursday. However, the fact that Paris St. Germain is a vulnerable team may be promising. The Parisians have lost two games in a row, and Kayserispor looks to take the streak to three. The game at the Parc des Princes starts at 10:00 p.m.Local Time. Fenerbahce and Dynamo Kiev played out a lacklustre 0-0 draw in the Champions League on Tuesday, leaving both teams with much to do to get their Group G campaigns going. Fenerbahce playmaker Alex worked to create chances up front with Daniel Guiza but the home side gave the ball away easily and Dynamo comfortably absorbed the pressure. The result piled fresh pressure on Fenerbahce's Spanish coach Luis Aragones. Last season's Champions League quarter-finalists are 10th in the domestic league. "Fenerbahce created some scoring opportunities on the pitch today. We were definitely the better team and deserved to win," Aragones told Turkish television after the game. "We were in control of the game while they played on the counter attack. What is important now is that we beat Arsenal," the former Spain coach said of his side's next test at home to the group leaders on Oct. 21. Fenerbahce, losers at Porto in their opening match, burst into life after halftime when Alex fired a shot just wide from the edge of the box in the 48th minute. A minute later Dynamo keeper Stanislav Bogush saved efforts from Guiza and Emre Belozoglu, who worked hard in midfield for the home side. Fenerbahce pressed hard for a goal in the final stages. Selcuk Sahin fired straight at the goalkeeper from the edge of the penalty area and Kazim Kazim shot wide with a long-range effort. But the Ukrainian side, who drew with Arsenal in their opening match, held firm in defence to remain third, a point ahead of the Turks and one behind the Portuguese champions. "Today we played a good game and succeeded in securing a point," Kiev coach Yuri Semin said. "Fenerbahce played very well. But our players created problems for them and were very successful in defence. ".